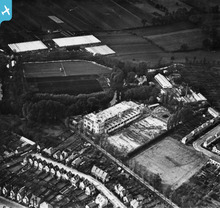 [EPW025111] The Mitcham Radio Works, The Wrythe, 1928. This image has been produced from a print. 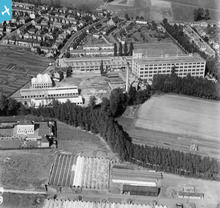 [EPW025114] The Wandle Valley Isolation Hospital, St Helier, 1928. This image has been produced from a print. 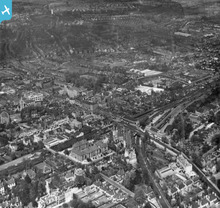 [EPW050019] St James' Road and the town, Sutton, 1936. This image has been produced from a print. 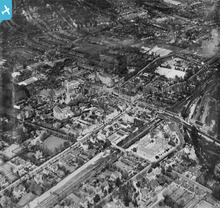 [EPW050018] Sutton Junction and the town, Sutton, 1936. This image has been produced from a print. 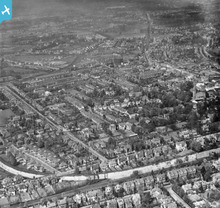 [EPW050017] The town centre, Sutton, 1936. This image has been produced from a print. 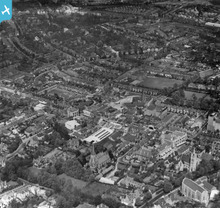 [EPW050016] The town centre, Sutton, 1936. This image has been produced from a copy-negative. Mark1973	added a pin to image EPW045429 - "Raleigh's Cafeteria. ..."
Mark1973	added a pin to image EPW035584 - "Rosehill Garage." 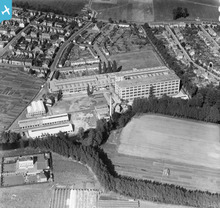 Mark1973	added a pin to image EPW031960 - "Rosehill Garage." Mark1973	added a pin to image EPW031968 - "Rosehill Garage." Mark1973	added a pin to image EAW018358 - ""The Plough" public house, Sutton Common Road. ..."
Mark1973	added a pin to image EPW031673 - "Future site of the "Morden Tavern" public house." 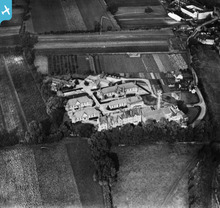 Mark1973	added a pin to image EPW031673 - ""The Plough" public house." Mark1973	added a pin to image EPW001674 - "Skating Rink"